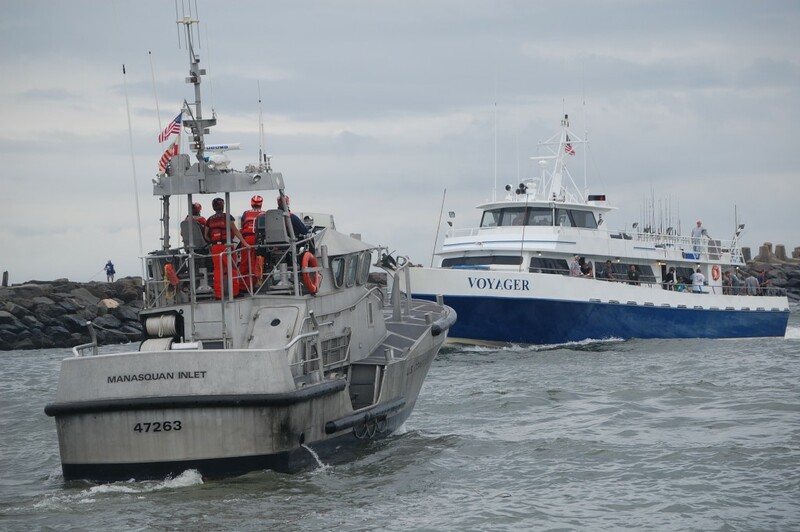 As the forecast track of Hurricane Joaquin brought it to the Jersey Shore’s doorstep by Monday morning, local communities began preparing for its potential impact. Nowhere along the state’s coastline is more vulnerable than Ocean County’s northern barrier island, where dune systems destroyed during Superstorm Sandy in 2012 have yet to be rebuilt following delays in gaining easements to complete a federal beach and dune replenishment project. In Brick and Mantoloking, however, an extra layer of protection exists in the form of a steel sheet pile wall anchored into the ground to help protect the island from breaches. 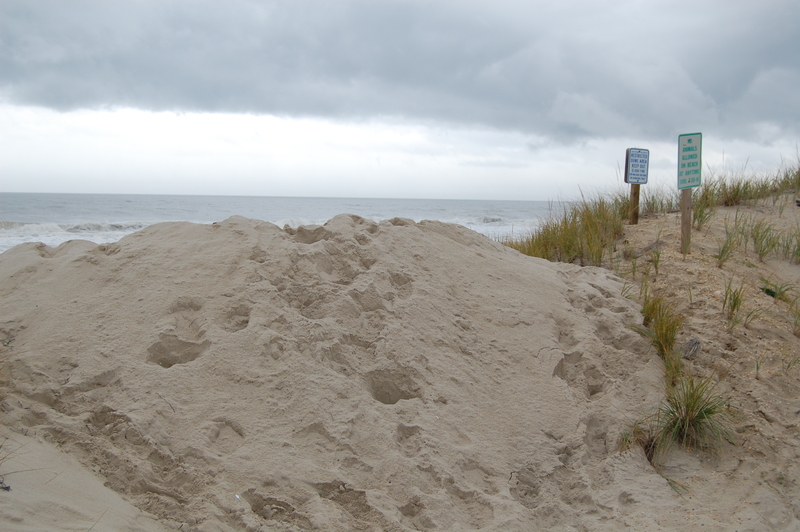 Elsewhere, communities have started the process of getting their beaches ready for Joaquin’s potential impact. 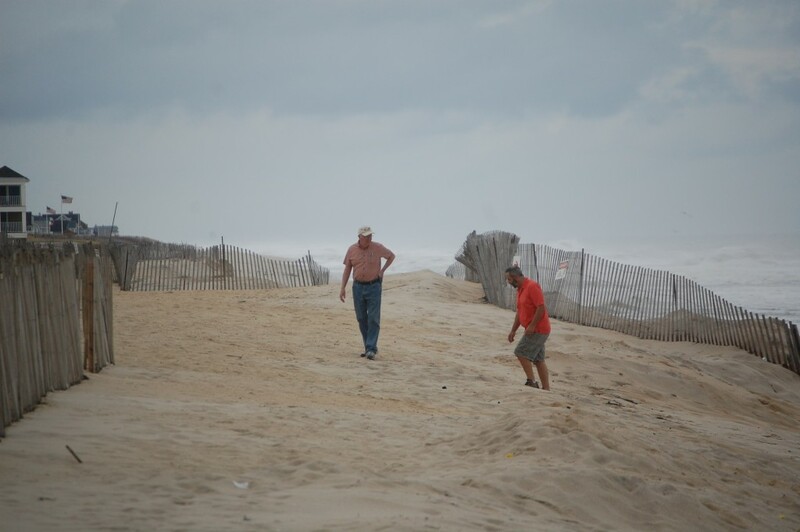 In Lavallette, sand has been pushed up onto beach entrances, effectively blocking them by creating a makeshift berm where water could penetrate the dunes. The north in Toms River’s Normandy Beach section, front loaders were at 5th Avenue, shoring up makeshift dunes along the hobbled oceanfront area. 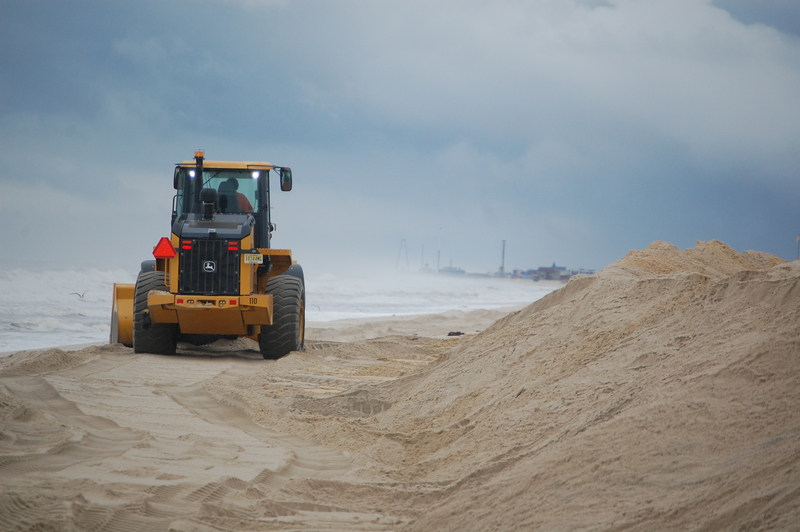 In Seaside Heights, crews continues to work on a temporary dune line, said Borough Administrator Christopher Vaz. Borough employees were also inspecting storm drains, fueling and running OEM vehicles and testing generators. Seaside Heights is also in the process of scheduling manpower for its municipal electrical utility and placing sandbags at its Public Works buildings. 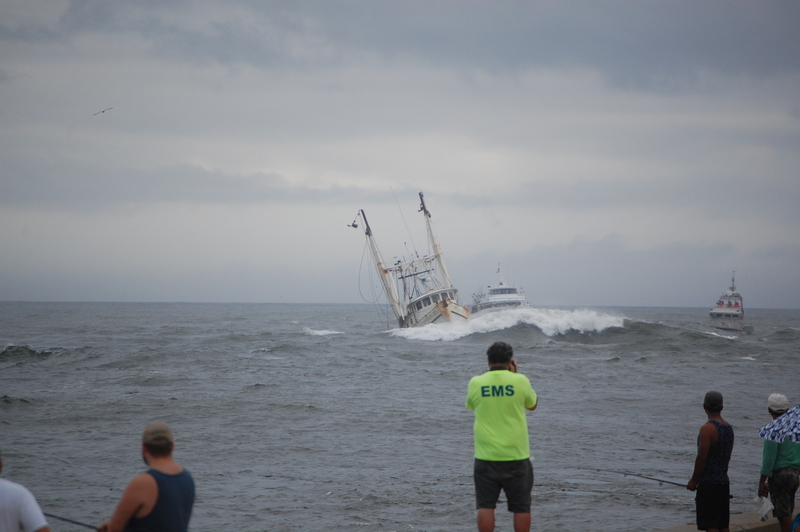 Though unrelated to Joaquin, heavy surf made Manasquan Inlet treacherous for boaters. Two U.S. Coast Guard 47-foot Motor Life Boats stood watch at the inlet, guiding commercial fishing boats, party boats and other vessels safely through the waterway.